2) INJURY. You injured yourself working out on your own, and want to learn safe and effective exercises. 3) POTENTIAL INJURY. You’re afraid you might injure yourself, if you work out on your own. 4) EQUIPMENT USE. You don’t know the correct way to use fitness equipment. 5) CONFUSION. You don’t know which equipment, and which exercises will get the best results. 6) PROFESSIONAL GUIDANCE. You need professional guidance to get you started, teach you the proper way to select, and use fitness equipment, and to teach you ways to vary your workouts, so you don’t get bored. 7) PRE-EXISTING CONDITION. 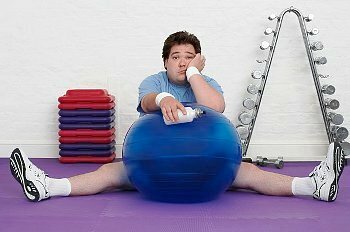 You have a pre-existing condition and need to learn how to exercise without making the condition worse. 8) BOREDOM. You don’t know enough exercises to make your routine interesting. 9) MOTIVATION. You need motivation. 10) HOME WORK OUT ADVICE. You need professional advice on how to work out at home. Posted on July 13, 2012, in Personal Training and tagged personal training, shopping for a personal trainer. Bookmark the permalink. Leave a comment.